Dearest readers, I hope you are having a fantastic start to the week. 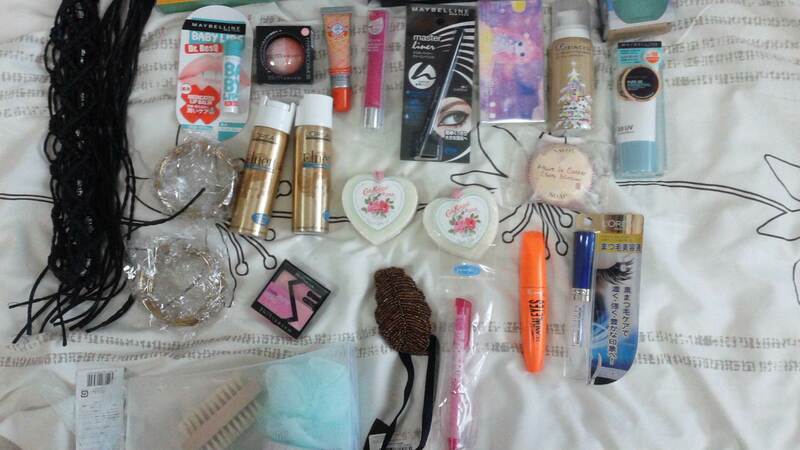 I very recently decided to have a beauty product clear out at home as I’m just accumulating too much stuff. 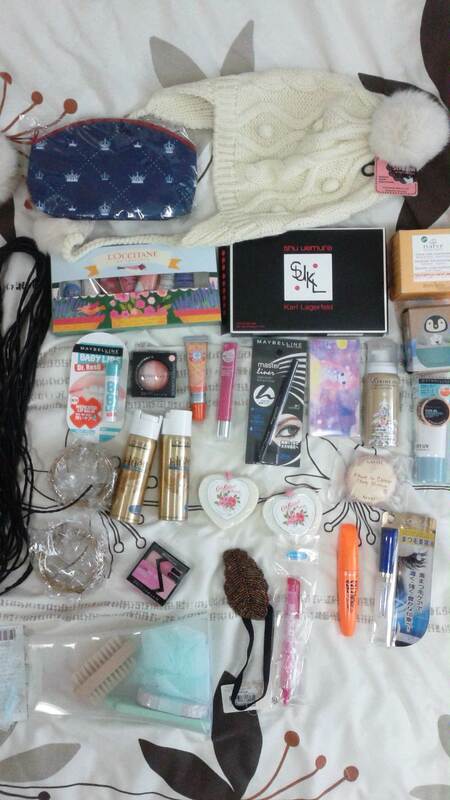 In true beauty junkie form, I have more than I will ever be able to use and am just looking to get rid of it. Everything is unused, except for the black belt. 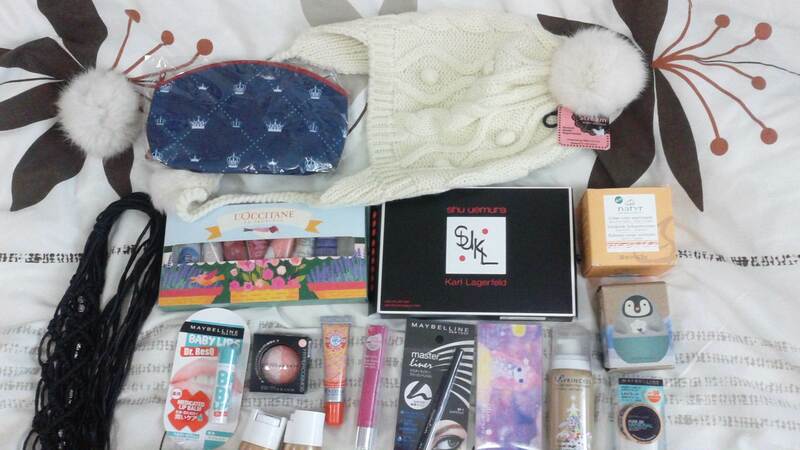 Some of the items include Maybelline makeup, Rimmel mascara, Revlon Just Bitten Kissable Balm Stain in Lovesick, L’Occitane and Etude House hand cream, the Mika for Shu Uemura Tsuya Skin UV Under Base, and the Karl Lagerfeld for Shu Uemura mini travel brush set. If anyone is interested in any of the items, please let me know through the contact form below. I’m happy to answer any questions you might have about the pricing or condition of the items, or the ones you can’t make out properly and aren’t sure what they are. This sale might be more suitable for those living relatively close to Tokyo, as I can’t really afford to pay for shipping costs right now. This is just the tip of the iceberg, I’m sure I’ll be selling plenty more in the not too distant future. I’ve seen the site, but it looks a bit complicated.